I’ve been reading along in this series but Audible doesn’t have the 3rd book so I’ve missed that one. I’ve read the books numbered 1, 2, 4 and 5. I enjoy Erica and Patrik, the married couple – he’s the police detective, she’s a writer, and their child, Maja is now a year old (Patrick is on belated paternity leave). In the first chapter a full 20 characters are introduced, mostly from prior books. Chapter 2 is very short – but it goes back to 1943 and adds 4 characters, 2 of which will be important. Chapter 3 has 11 more but most of them are just names although one is the deceased and one with law enforcement, but others are a teenage thug and his grandfather – . The basic plot of the crime is interesting – two teen boys find the body of an elderly neighbor dead in his own home – obviously murdered in his own chair! He’s been dead for weeks. The opening lines are wonderfully well written. Meanwhile, Erica finds a baby dress with a Nazi medal in an old trunk belonging to her mother. Who did what to whom when and why? Alternating chapters take place in 1941 with Sweden at war with Germany, but harboring some Nazis of their own. Läckberg includes contemporary cultural markers like Martin Timell, a televised home improvement show, which I ‘m sure is fun to find for Swedish readers, but kind of meaningless to me – although interesting. 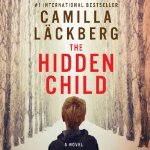 All in all I’m getting a bit disappointed with this series – Läckberg used to have more crime detection and less involvement with various domestic issues – very, very few writers of crime novels can keep me interested in the protagonist’s home life. That said, the crime and the history are well done – I’ll continue to read the series.